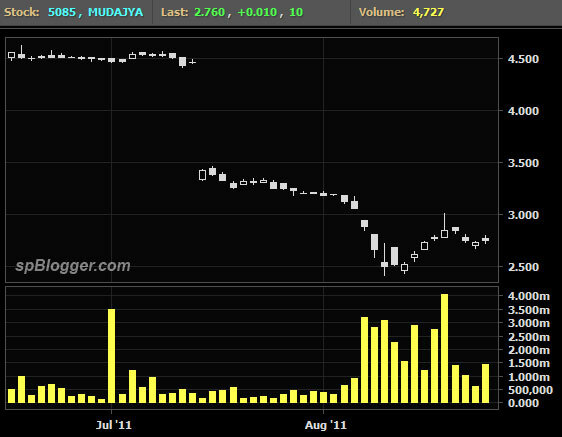 Mudajaya target price was downgraded by both CIMB Securities and OSK Research. The main reason ~ delays at Chhattisgarh. CIMB Securities lowers it by 7.3% from RM7.44 to RM6.88 (before ex-bonus) == RM5.95 to RM5.50 (ex-bonus), pegged to 20% RNAV discount. OSK Research downgraded it even further from RM5.48 to RM4.15 based on a 30% discount to SOP. Previous articleHow to recover from Google Panda Update?